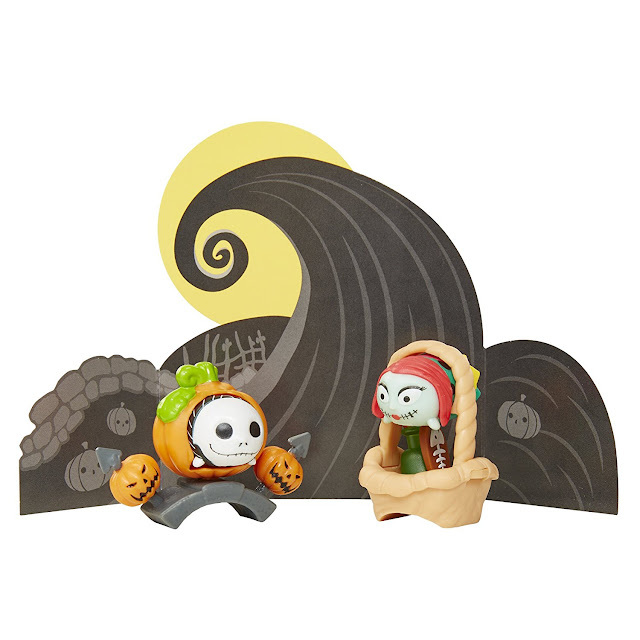 Just in time for Christmas - Disney came out with this cute Nightmare Before Christmas Tsum Tsum playset, featuring the Spiral Hill. 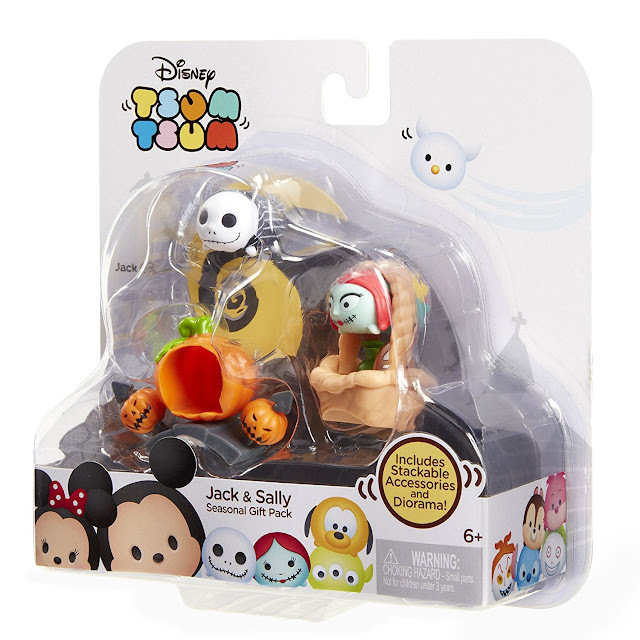 The set comes with the Spiral Hill diorama, Jack Skellington and a little pumpkin he fits into, Sally and a basket that she fits into. Her basket includes a dead fish skeleton and a potion bottle. Surprise your favorite NMBC loving goth with this under the tree this dark holiday season!